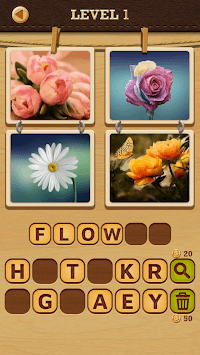 • 4 Pics Puzzle: Guess 1 Word supports the smartphone and tablet PC. 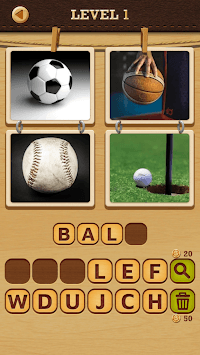 • 4 Pics Puzzle: Guess 1 Word has included a banner, front, and video ads. 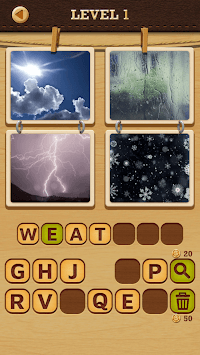 • 4 Pics Puzzle: Guess 1 Word is free to play game, but some of in app purchases included. • Enjoy new free game!